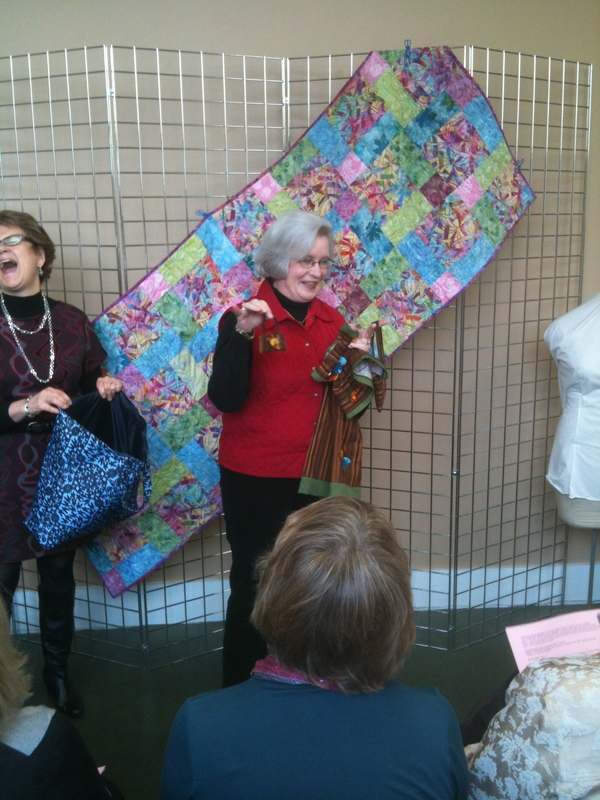 Debbie and I were so glad to be back with all of you and your inspirational sewing after our December “vacation”. Click on Club Sheets and Garment Photos above to catch up if you weren’t there. This month we took photos of the garments similar to what you see in Threads and other magazines to make us look in our closets and create an ensemble. Always trying to avoid creating closet orphans! Check out the Sustainable Fashion exhibit at the Goldstein Museum. 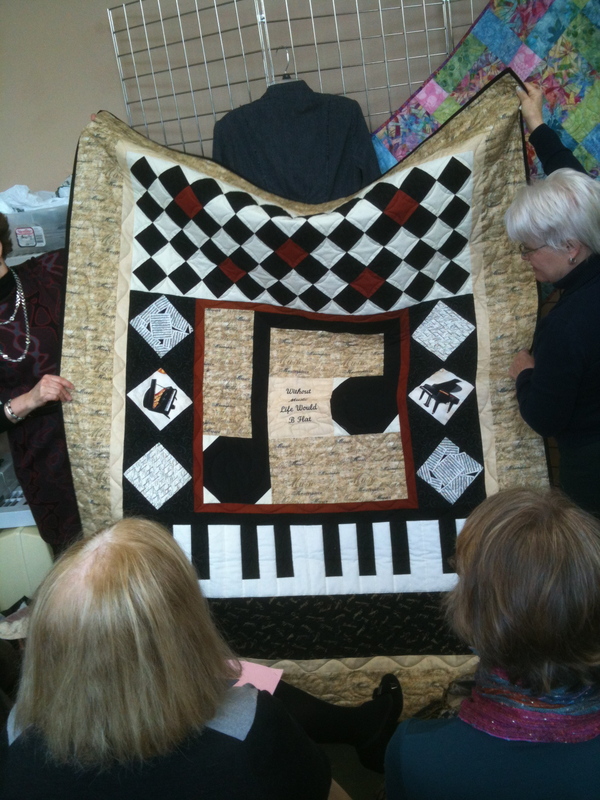 Treadle Yard Goods is sponsoring the exhibit that will be featured until May 26. Stay tuned for a group date-just thought we’d go as a group if anyone would like to join us. 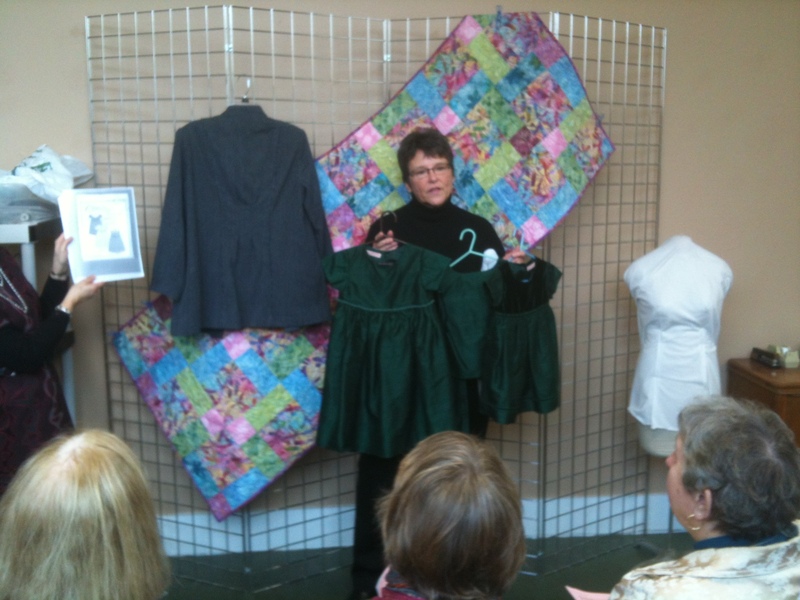 We mentioned that Linda Lee of Sewing Workshop will be at Make It Sew for a pants fitting class. Those dates are Friday and Saturday, March 15-16. 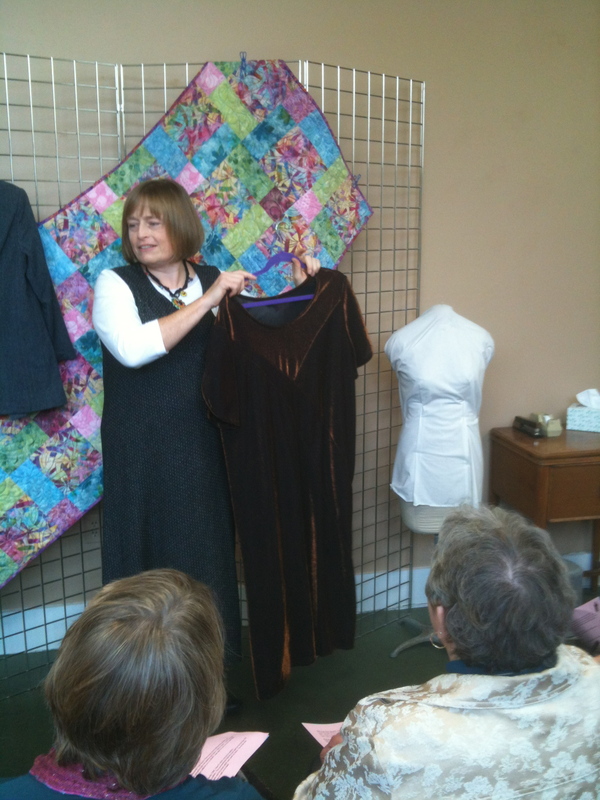 She also has a lecture Friday evening on latest style trends and using fabric to interpret them. Check out their newsletter for more info. Talk about using every last scrap-American Girl doll got a purse too! Dress from Fashion In Harmony-can you see the bias lines? Next Next post: How Do You Recycle?